This color reminds me of living in San Francisco...sitting in the park for hours with my Yorkie Harley. The grass was so incredibly green. Such great memories! I have seen this color paired with leopard and it was amazing. I can see these shorts with my leopard print Toms wedges! 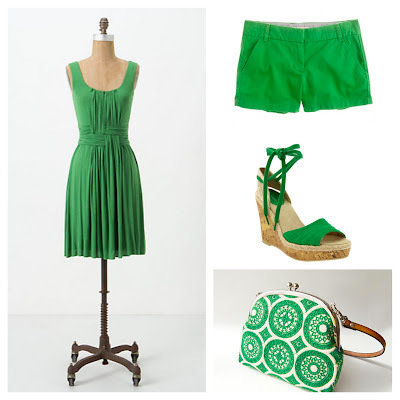 I'm crazy about green right now. I am thinking of incorporating it into my guest room.